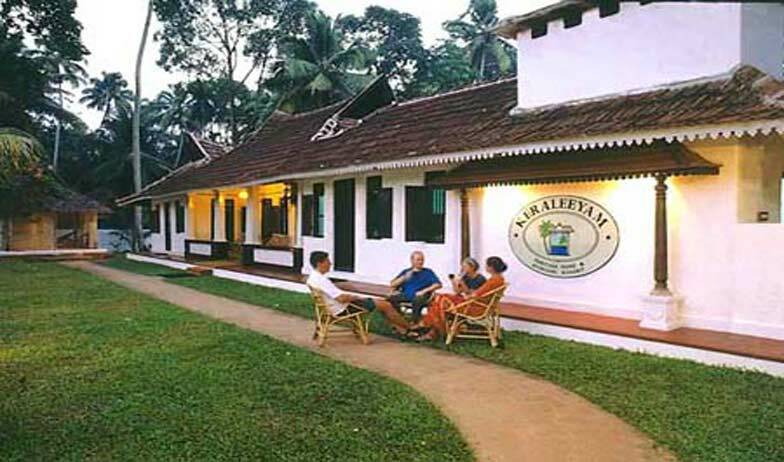 A heritage styled Ayurveda resort, Keraleeyam heritage home is built near the famous Kerela backwaters in Alleppey. 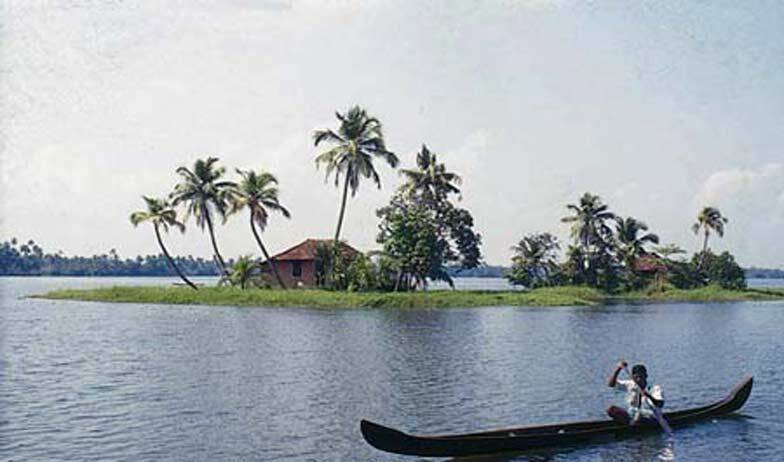 Famous for its breathtaking natural beauty this Ayurvedic resort offers a great package of Ayurvedic treats in the form of massages, Spas etc, along with true Kerala style cottages that give the extended privacy to its guests since each cottage is separately built near the backwaters and allows for a scenic natural view. 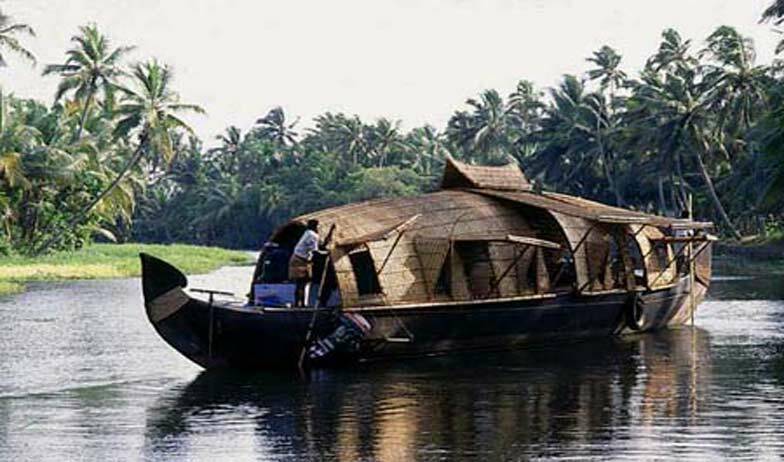 The resort also provides a gamut of additional activities like elephant rides, boat cruises on the back waters and other seasonal entertainments. The accommodation is well packed with modern fittings making your stay comfortable and the on-site restaurant offers not only multi cuisine food but also Ayurvedic meals if requested specially. 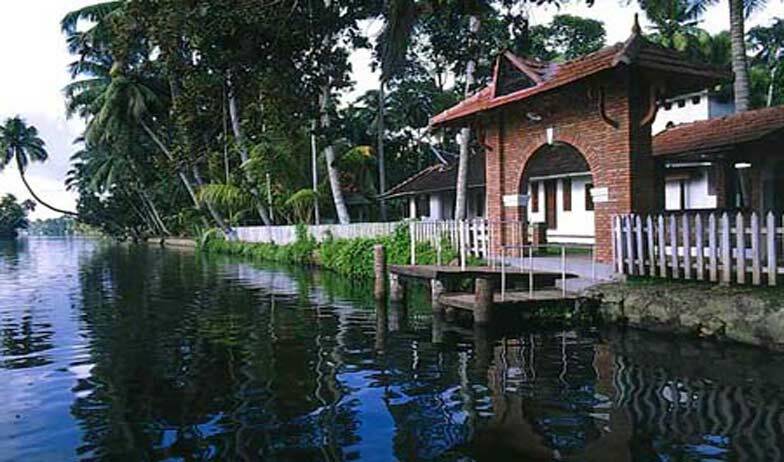 A true amalgamation of nature and luxury, Kareleeyam heritage resort is a wonderful place to relax and let go of the city stress. 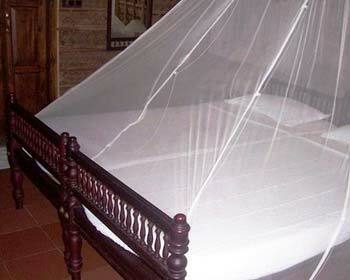 The Ayurvedic resort offers accommodations in the form of private cottages which extend more privacy to the guests. 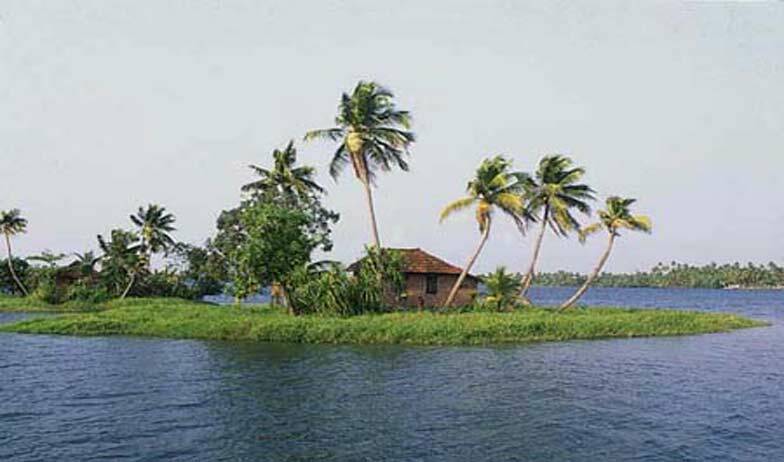 Built in the middle of the natural surroundings, the cottages open up to a spectacular view of the famous Kerala backwaters offering a great view to the guests who can find solace and tranquility in the natural surroundings outside the cottage. 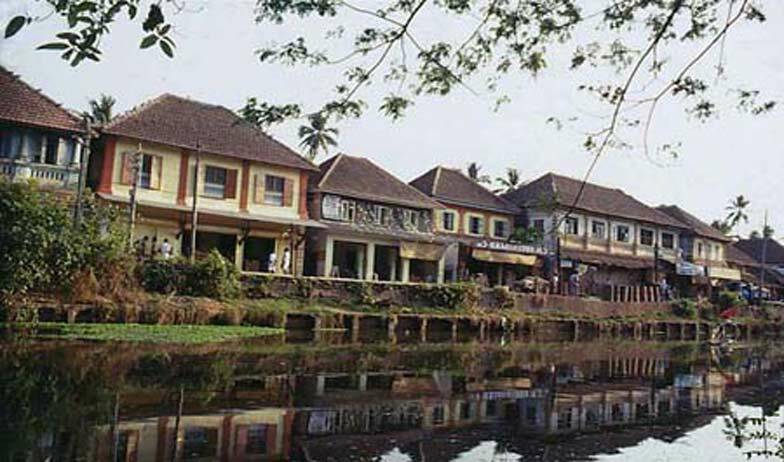 The resort reflects the true style and culture of Kerala in the décor of the cottages. With modern amenities making the stay comfortable for the guests, the resort also boasts of impeccable hospitality. The private additions like the bathroom, sitting area etc, well equipped with modern fittings lends to a great and relaxing stay at the resort. The on-site multi cuisine restaurant is famous for its delectable preparations in mouth watering tastes of Indian, Chinese, and Continental, European and Italian cuisines. Apart from serving the multi cuisine dishes on its menu, the resort in true Ayurvedic style offers ‘Ayur food’ as well which is nutritious and based on the recommendations of the doctors to ensure that your holistic holiday is as close to nature as can be. Keraleeyam Heritage Home and Resort spa is a centre of safe and effective method to attain total rejuvenation and relief from chronic aches and pains. 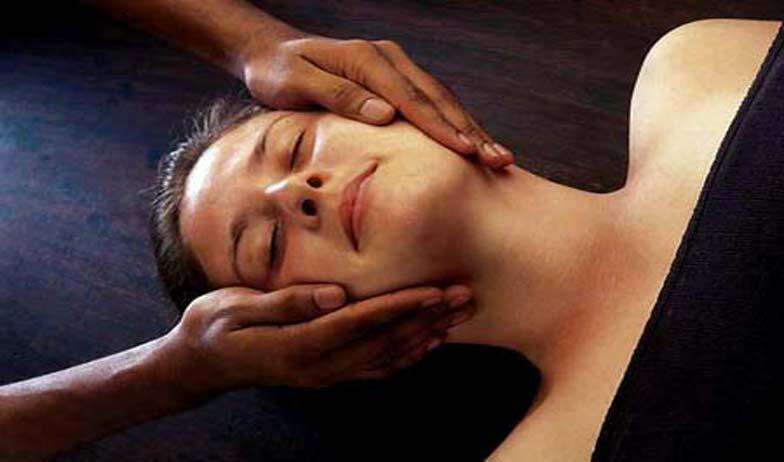 Ayurvedic treatments and therapies recharges the body, reactivates the mind, recoups youthful vigor and vitality, builds resistance to diseases and improves complexion. Therapies offers lasting relief from chronic aches and pains like backache, joint pains, stiff neck, migraine and rheumatic pains. Trained masseurs and expert Ayurvedic physicians aid in your treatment. Medicines are grown at the gardens of the manufacturing facility. The spa has a tradition of excellence spanning over 60 years. Anti-Aging package:To reduce the aging process.